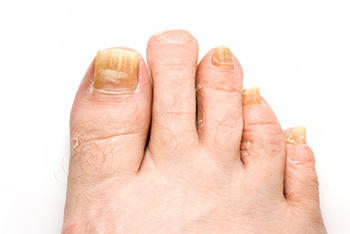 Toenail fungus is notoriously difficult to cure with over-the-counter medicines. From foot soaks to ointments, the efficacy of these is extremely varied, at best. However, in late 2010 the FDA approved the PinPointe FootLaser. This was the first of the “cold laser” treatments to gain federal approval. The laser kills the fungus in and under the nail, ridding it of the infection. The treatment itself is non-invasive and very straightforward. The podiatrist will move the laser in a grid-like pattern over the infected toenail. This is a virtually pain-free procedure that generally takes less than 30 minutes, though it could take longer depending on how many nails are infected. After the procedure, the appearance of the nail will not have changed. While the fungus has been killed, the nail will have to grow out for you to be able to see the effect of the treatment. Laser toenail fungus treatments are now used all over the world and can be performed by a podiatrist in-office. The number of treatments it will take to cure the fungal infection varies by patient and type of laser. Be sure to keep the feet clean, dry, and protected to avoid acquiring this condition.